Samsung Galaxy Alpha release date and price: When can I get it? With the Galaxy Alpha Samsung is finally embracing metal and delivering a handset with a premium finish deserving of all the features that the company has packed in to it. It looks good and compared to phones of Samsung past it looks great. But phones aren't just for looking at, they're for buying and using, so if you want to get your hands on the Samsung Galaxy Alpha here's what you need to know. Samsung has announced that the Galaxy Alpha release date is pegged for September 12, but the price is currently unknown and will likely vary depending on network. Pre-orders are due to begin on August 28. 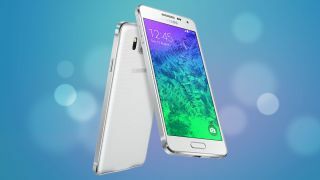 The Samsung Galaxy Alpha is now available to pre-order on EE in black or white. The network hasn't confirmed exactly when it will have the phone in stock but delivery is currently listed as 'within 28 days'. The phone is available on a number of 4G plans, with monthly costs ranging from £30.99 to £45.99. Vodafone has also confirmed that it will be stocking the Samsung Galaxy Alpha and it's even talked colours. You'll be able to buy the phone in Charcoal Black, Dazzling White, Frosted Gold or Sleek Silver on the red network, but the price is yet to be confirmed. Three has told us that the Samsung Galaxy Alpha will be available on its network, but for now we don't know the when or how much of it. Three could be one to watch though, as it's likely to offer Samsung's new handset with unlimited 4G data. O2 has confirmed it will begin selling the Samsung Galaxy Alpha in September on its range of O2 Refresh tariffs and it's now available to pre-order in black or white with delivery for September 12 or in silver with an estimated delivery date of September 22. Prices start at £38 per month with no upfront cost. Carphone Warehouse has confirmed that it will exclusively be stocking the blue version of the Samsung Galaxy Alpha at launch, as well as also having it in black, white, gold and silver. The phone is now available to pre-order in all colours with delivery expected on September 12. Prices start at £33 per month with no upfront cost. The Samsung Galaxy Alpha is also available to pre-order from Phones 4u in black, gold, silver and white, with prices starting at £39.50 per month with no upfront cost. No exact date has yet been given as to when it will be available but a sales advisor informed us that it should be in stock from early September. The HTC One M8 is every bit as shiny as the Samsung Galaxy Alpha.